It's pretty disappointing to spend hours and hours on leads that go nowhere. However, there is nothing worse than realizing, after investing so much time, that a few specific questions would have alerted you to the futility of chasing that lead. If you had asked the right questions, you might have realized that the prospect just didn't have the budget, or perhaps the prospect loves you and has the budget but the real decision-makers are looking in a different direction. When nurturing leads for your business, it is critical that you qualify them early. That is where BANT and other qualifying models come in. This article will initially outline BANT and why it is important, and then provide what experts consider an updated BANT-like model. BANT was initially conceived of by IBM, it was used as a means of identifying an opportunity. If a prospect had 3 of 4 of the BANT items, then the prospect would be considered an opportunity. BANT is a sales qualification methodology that lets salespeople determine whether a prospect is a good fit based on their budget, internal influence or ability to buy, need for the product, and purchase timeline. What is the prospect's budget? Is a deal even financially possible for the prospect at this time? Does the prospect have the decision-making authority, or are they an influencer within their organization? What is the prospect's business need? Does the prospect actually need what you are suggesting? Does the prospect acknowledge that need? In what timeframe will the prospect be implementing a solution to the abovementioned need? Is this a solution that is being considered right now or next year. Times have changed and the Internet has completely transformed the buyer/seller relationship. As a result, BANT has fallen out of favour recently. That is not to say that BANT is no longer of value because it is. BANT is still an excellent tool but it must be augmented and used properly. Let's start with how to use it properly. First off, BANT is not a checklist. Today's consumer is much more sophisticated and in control of the buying process. Asking them a series of rote questions without truly listening to their response or attempting to add value is going to end the relationship. It can't be an interrogation, it must be a two-way dialogue. Unfortunately, BANT often causes reps to stick to a memorized list rather than asking questions that build trust and a relationship. Listen to each answer and ask questions that build naturally on the previous answers. When presented with an opportunity, dig deeper about their needs, the decision-makers, their needs, and their timeframe. Think of BANT as a concept rather than a checklist. You need to qualify on all 4 characteristics, but you don't need to do them in a particular order or in a particular manner. Your approach should fit the prospect. You need to qualify the prospect but let the prospect lead the discussion, if possible. Ask open questions to create discussion and build trust, and specific questions to qualify the prospect. Hubspot, a leading marketing, sales, and service software platform, has recently indicated that BANT needs to be reconfigured to the modern day consumer. Historically, consumers were dependant upon salespeople for answers. Now, they can just use Google to find answers to their problems. Consumers are now much more aware of what you have to offer and what your competitors have to offer. They are well on their way to crafting a solution long before they chat with a salesperson. 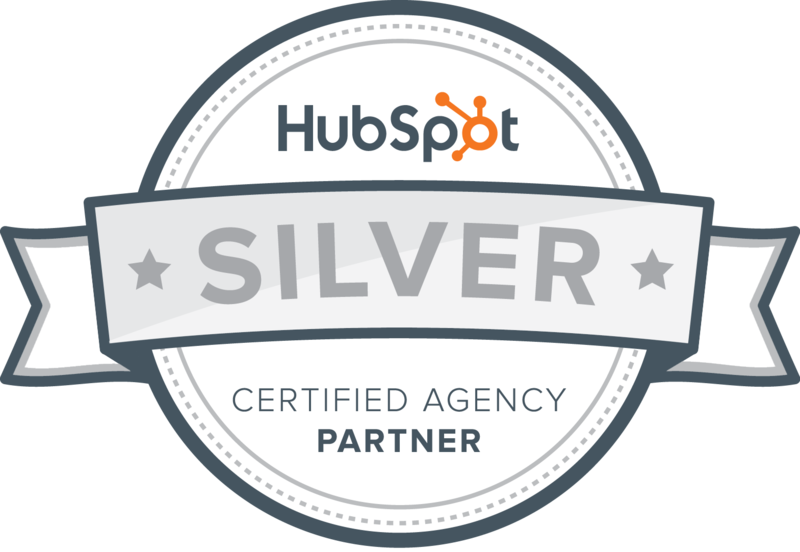 As a result, HubSpot has crafted a new spin on BANT. They have developed a 3-part framework that they have called GPCTBA/C&I. This first part of the qualifying process eclipses the Needs and Timeline qualifiers in the BANT model and stands for Goals, Plans, Challenges, Timeline. Avoid some risk of losing money. It's all about money (generally). Often companies haven't defined their goals very effectively, or they haven’t associated their goals back to their day-to-day activities. This provides you with a great opportunity to establish yourself as an advisor by helping prospects reset or quantify their goals. Once your prospect has established their goals, you want to find out their plan to achieve those goals. Have they tried their plan? Do they have a backup plan? During this process, test their plan. If they acknowledge that their plans might not work 100%, ask if you can suggest alternative plans. A key moment in any sale is determining whether or not you can help your prospect overcome their challenges. It is important to acknowledge that there are situations or challenges that just aren't suited to your skillset. If you aren't certain you can help with the prospects challenges then just move along. Most companies prefer to do more of what they're already doing, and will resist change until it becomes absolutely necessary. That usually happens when they run into a challenge they simply can't overcome. The key moment is getting prospects to admit that they are stuck and that they need help to overcome this challenge. Okay, now let's get back to qualifying with BANT. Timing was and continues to be very, very important. When does the prospect need to achieve their goal, implement their plan, or eliminate a challenge? Are they ready to deal with this now? If the answer is "in the future" you should consider that a red flag or at least a sign that this prospect is not qualified. The prospect might have a lot on their plate right now and not have the capacity to address the goal, plan or challenge. At this point you have to make the decision about whether to invest your time or not. This might be the point when you ask if it would be better if you called back in 6 months. The timing has got to be right. Once you have determined that you can help your prospect with their goals, plans, and challenges, you need to qualify them on budget and authority. Specifically, you need to determine who will make the final decision and where the funding will come from. Budget is a no-brainer. You can't help the prospect if they are unable to invest in the solution. If they are uncertain of having an adequate budget, ask where else they are spending money on trying to find a solution to this specific challenge. If they mentioned that their efforts to find a solution were unsuccessful, remind them of that. People are busy and that means that things get delegated. It is often not the final decision-maker who is tasked with scouring the Internet for a solution. Even though your first contact may be with a lower-level team member, this should not be seen as disqualifying. This is an opportunity to transform this non-decision-maker team member into your champion. Once you convince them that you are able to help with goals, implement their plans and overcome their challenges, the next step is asking to be introduced the the person with decision-making authority. Once you are able to meet with the decision-maker, start from the beginning and don't assume that all of your information has been passed on. Go over the goals, plans and challenges that you previously discussed with your first contacts. This third prong of the GPCTBA/C&I framework stands for negative consequences and positive implications. While this section isn't really about qualifying prospects, it will help you explain your potential value. Think about the negative consequences that will happen if the prospect fails to meet their goals. Think about the positive implications if the prospect meets their goals. If your product or services can significantly help them avoid or mitigate the risk of the consequences while further aiding the prospect in achieving even bigger follow-up goals, you've got a very strong value proposition. Keep your value proposition front and centre. The questions outlined below are examples of questions that you could use when trying to qualify prospects. You should not use all of them and you certainly should add your own questions. This is not a one-size-fits-all qualifying exercise as there is no perfect way to qualify your prospects. Do your best to have an organic, naturally flowing discovery call with your prospect. During this conversation, ask questions that qualify or disqualify the prospect. If you sense a lack of budget or authority, or problems with timing, ask deeper questions. The prospect might not be the right fit right now but acknowledging that and maintaining goodwill might lead them to being a perfectly qualified fit down the road. What is your top priority this year? What goals did you set last year and were those goals achieved? Do you have revenue goals for this upcoming quarter/year? What are your top priorities at the moment? Where does this goal fit on that list? When did you develop your current plan? What did you do last year? Did last year's plan work? What are you going to do differently this year? What might make it hard to implement your plan? Do you have the resources to implement this plan? Would you like to hear about how other people we've worked with have implemented plans like these? If you realize that your plan isn't working, how will you shift gears? When did you first identify this problem/opportunity? What steps have you already taken to address it? How important is addressing this to your personal career goals at the company? What happens if you don't address this? Is your goal a priority right now? What other (both complementary and competitive) solutions are you evaluating? Do you have the capacity and budget to implement this plan now? Are there any upcoming events/deadlines that you'd like to have a solution in place by? Are you planning any significant undertaking in the next while? What's your primary goal for next half of the year? Will you be able to meet that goal without some sort of change? What do you currently spend now on this problem or need? Have you budgeted in anticipation of this challenge? If not, whose budget will these funds come out of? We've calculated your team is losing X amount per quarter on this problem. How does that compare to the budget you've set aside? We've calculated that your team could potentially gain X amount per quarter by making this change. How does that compare to the budget you've set aside? How much would it cost to build the system by yourself? How much would it cost if you don't fix this issue in 5 years? How heavily does price factor into the decision? Have you identified a budget range for this purchase? What's the ROI you're hoping to see? When was the last time you bought a similar product? How did the decision-making process go? Who has the final decision-making authority? This is normally the stage where our customer brings in [the head of finance, the other stakeholders, their manager] to discuss this proposal and get their perspective. Do you want to invite other people to our next meeting? Will anyone else be involved in this decision? What are the implications for the company if you reach the goals? Does this affect you on a personal level? What are the consequences for the company if you don't hit the goal? Does this affect you on a personal level? Once you overcome this challenge, what is the next big challenge? Do you get bonuses or get more resources if you can achieve this goal? Would you lose responsibility, or be demoted if you couldn't figure this out?